Princess Amber Kazanov needs a husband. She flees her native Russia and takes refuge in England with her cousin Prince Rudolf Kazanov and his English wife. Prince Rudolf knows only one man who has the power and strength to protect his cousin. Arriving with Amber at the Earl of Stratford’s home, Rudolf makes the earl an outrageous proposition. Miles Montgomery, the Earl of Stratford, wants to be left alone. Since losing his beloved wife in a fire, Miles has sat in the dark and waited for his own death. Until the day a beautiful princess walks into his home seeking marriage and the protection of his name. Amber’s beauty attracts Miles, but her courageous heart shakes him to his core. Drawn to Miles, Princess Amber sees beneath his masked scars and gruff exterior. Her love persuades him to push his bitterness aside and truly live and love again. Can Miles keep Amber safe when her enemies arrive in England? Or will his past return to haunt them? 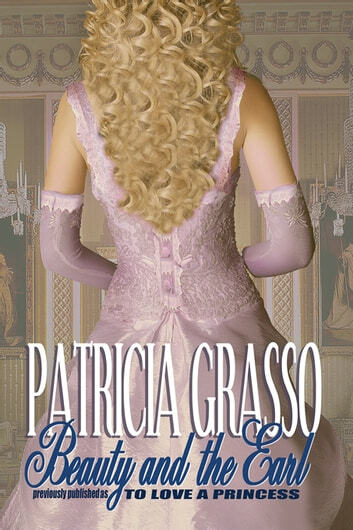 Originally published as "To Love a Princess" (Kazanovs #2) - The second book in the Lords of Stratford series. Princess Amber escapes a controlling, mean uncle and ends up in England as the Miles' ,the Earl of Stratford's, wife. Through some trying times, and love they manage to make it work out. There was a lot of heart wrenching emotions in this book, I loved the characters, writing and plot of this story. The steamy romance was great as well.